The silent film might seem antiquated against a cinematic context that so prioritises dialogue, plotting, and aural acuity. 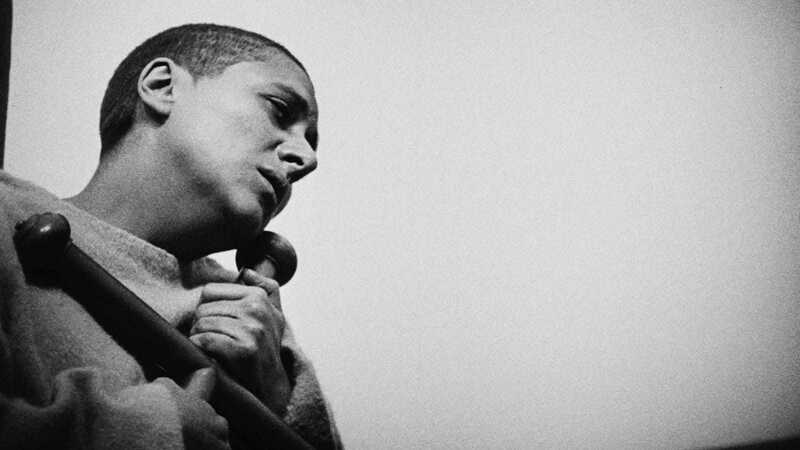 An arthouse classic beloved by almost all who see it, The Passion of Joan of Arc is one of Danish master Carl Theodore Dreyer’s first masterpieces. While contextualised by the grandiosity of the Hundred Years War, Dreyer’s approach is not sound (naturally) or fury. Instead, he creates a visual collage of close-ups, using sharp angles (heeding no rules, 180 degrees or otherwise) and harsh cuts to communicate the innocence and tragedy of Joan. He prefers a minimalist (and anachronistic) modernist set to historical detail, and finds thrilling dynamism in camera movement. There is a common misconception that Dreyer intended the film to go without a score (converse to the norm), but that this film could very well be viewed as such is testament to its visual quality. One for the postmodernists out there – this film is both an example of visual storytelling while being about that very thing at once. Dziga Vertov is here propagating his theory of the ‘cine-eye’. This is the idea that the camera can, and should, go where the human eye cannot. By taking advantage of its unique perspective, certain truths or realities hitherto unseeable are suddenly revealed. 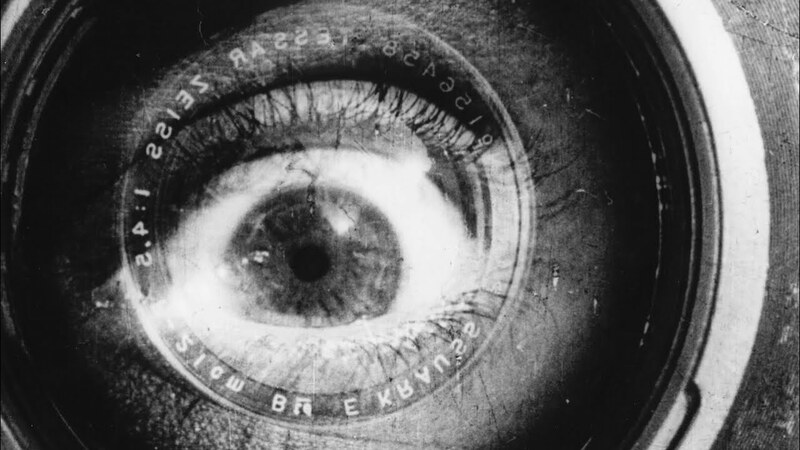 It is important that Man With a Movie Camera is considered a documentary – despite all the tricks and falsehoods therein, Vertov’s ultimate aim is to present a version of reality, the camera lens his mode of expression. 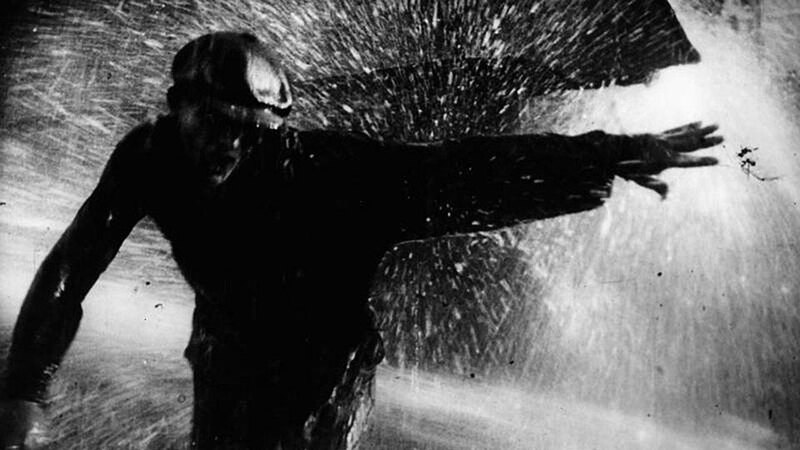 Contrasting Vertov’s overtly expressionistic distortions of reality, Eisenstein preferred what he coined the ‘cine-fist’. His cinema is inherently ideological, and his theory of montage relies less on the content of individual images as what these images communicate in tandem. Strike is his debut feature, and a powerful example: towards its gruesome finale, the violence of farm animals being slaughtered is cut against shots of beleaguered workers, these ideas merging and overlapping. Eisenstein’s montage is sometimes complex, but the idea behind it is easily replicable. 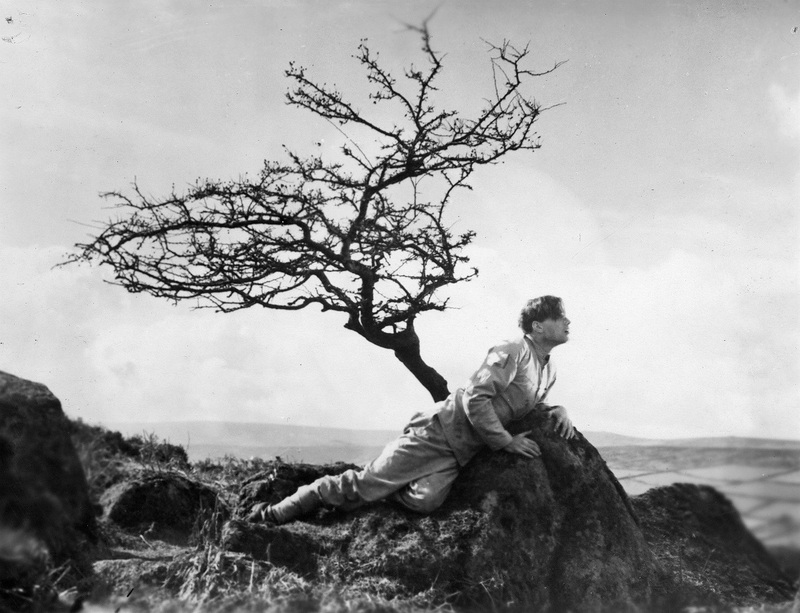 Beyond the juvenilia of a certain Hitchcock, the silent cinema of Britain is often ignored. But Anthony Asquith (son of Prime Minister H. H. Asquith) contradicts this tendency. In what might be his very best film, Asquith presents a masterclass in visual storytelling. One scene takes place in a cinema, and in a self-reflexive twist the camera is pointed from the screen, on the audience. By cutting between the film’s troubled antagonist, his guileless prey, and the various reactions to the (unseen) action onscreen, Asquith creates a flurry of emotion and tension, culminating in a frenzied intercutting of faces, flashbacks, and sordid fantasy. On paper this scene would be simple, perhaps even dull. Asquith translates it with cinematic dexterity. No list of silent film would be complete without reference to German expressionism, one of cinema’s most potent artistic movements. This genre is famed for its angular, geometric sets and dark, haunting narrative lines. Realism was last among the expressionists’ concerns. F.W. 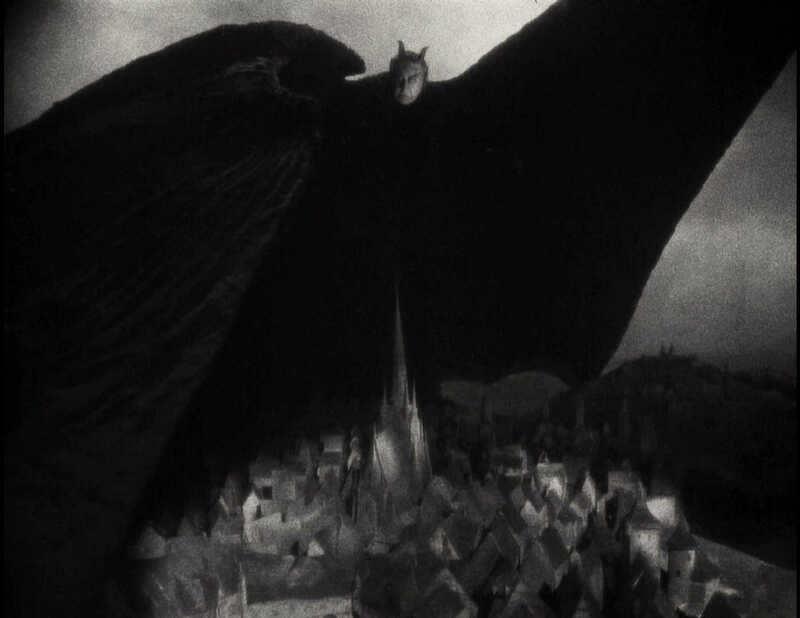 Murnau’s Faust is a scintillating example, particularly its first third. We open to Mephisto, the devil, sending down a plague on Faust’s village. Instead of expression through montage, Murnau finds the iconographic in each image, with stunning compositions and incredible visual inventions. Cinema might be bigger now, but for my money Faust has yet to be topped in sheer verve. Visual storytelling doesn’t only apply to Communist propaganda and Germanic folklore – it’s also essential to some of cinema’s funniest comedies. But I’ll forgo Chaplin and Keaton for ‘the third [and often forgotten] genius’, Harold Lloyd. 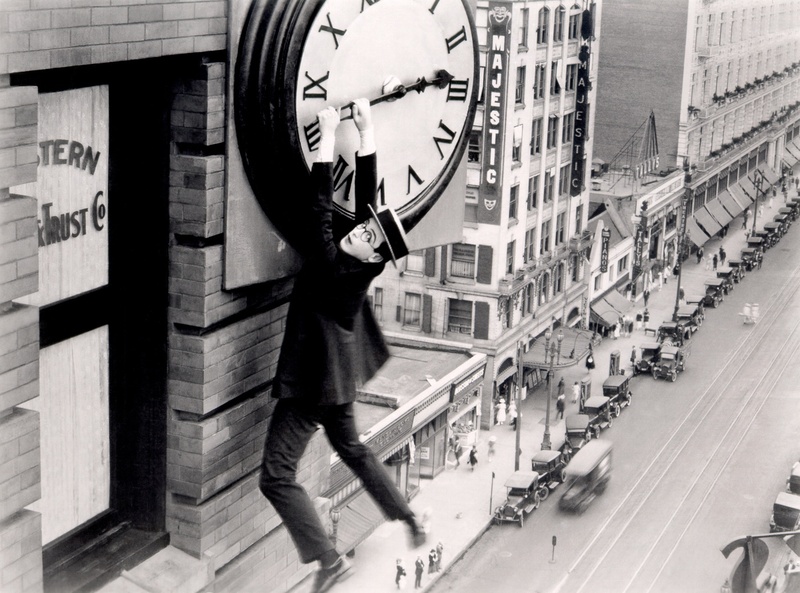 Safety Last, his greatest film, is packed with gags from first frame (literally) to last, but the clocktower sequence is both the best and most iconic among them. Even those who haven’t seen the film often recognise it. Why is it so well known? The power of its imagery. Humour might be his priority, but Lloyd (with directors Fred C. Newmeyer and Sam Taylor) does not shy away from matching his skits with spectacle, and to clear effect. To save the best til last, it would probably be easier to list the visual tricks that aren’t used in Napoleon. Abel Gance’s opus, and perhaps the culmination of the silent era (cut ruefully short by certain technological innovations), Napoleon is spectacular. Invention is the apposite term. Almost every scene in some way innovates the form, and none more than the final ‘triptych’ sequence. Positioning three cameras in sequence, Gance transforms his 4:3 frame into an enormous 2:1 widescreen. Three images become one; the film literally expands widthwise for its final 20 minutes. More than one (sometimes uneven) expanded frame, Gance then uses these additional screens for different images, symbolism, and contrast. It’s the ultimate power move of silent cinema, and astounding on the big screen. The lesson from Gance: never be afraid to go all out.